THE FLATS – Derrick Favors has the Utah Jazz in position for a 4 or 5 seed in the upcoming NBA playoffs … Iman Shumpert went from a team on the bubble to a potential playoff favorite ad mid-season … Thaddeus Young gets a lot of love in Indianapolis … That and more in this edition of the Georgia Tech #ProJackets Basketball Report. Iman Shumpert has helped Houston win seven of their last 11 games and helping them climb to fourth place in the Western Conference, a half-game behind Portland. 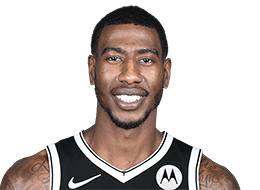 Shumpert has averaged just over four points, 2.7 rebounds and 1.2 assists in 15 games with the Rockets, averaging 18.2 minutes. 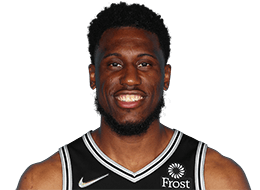 Thaddeus Young is getting props in Indianapolis for his team-oriented approach, and his diverse skill set has helped the Pacers position themselves as a No. 4 or 5 seed in the upcoming NBA playoffs. 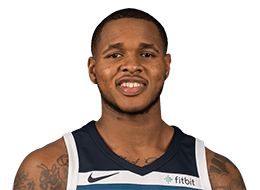 Young, who has started every game for the Pacers, is shooting the ball (51.9 percent) better than he has in any year since 2012, he has hit 35.6 percent of his three-point attempts and averaged 6.5 rebounds, third on the team. 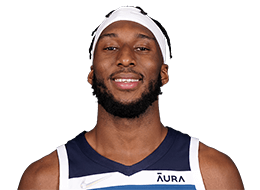 Josh Okogie doesn’t like to use the phrase “rookie wall,” but he had to acknowledge it after experiencing a lull in his energy level recently. The Minnesota Timberwolves won’t make the playoffs, but Okogie, the 20th pick in NBA Draft last summer, has proven himself to be factor for the long-term, picking himself up to the tune of 16.7 points in 33 minutes per game and 56 percent shooting over the last week. Wearing a Heat championship ring on both hands, Chris Bosh watched a giant banner bearing his name and No. 1 raised to the rafters of AmericanAirlines Arena on Tuesday night — then delivered an emotional address to the crowd, part of it even in Spanish as a show of respect to the Latin culture of Miami. More coverage of Bosh’s retirement ceremony here from Yahoo! Sports. 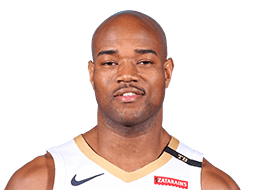 The NBA G-League regular season came to a conclusion, and neither the main Red Claws (Marcus Georges-Hunt) nor the Sioux Falls Skyforce (Jarrett Jack) made the 16-team playoff bracket. Georges-Hunt played in only nine games before being sidelined the remainder of the season after knee surgery. Jack joined the Skyforce late in the season and played in just one game, scoring 21 points with seven assists, before suffering a torn ACL and a sprained MCL in his left knee. He will undergo surgery April 1. For Jack, 35, it is the second time he has suffered a torn ACL in his NBA career. Trae Golden (6’3”-G-91, graduated ’14, plays pro in Russia) could not help Avtodor (8-13) in their last game. Despite his very good performance Avtodor lost 110-116 at home to the leading CSKA. Golden had a double-double by scoring 30 points and making 11 passes. He also added 4 rebounds in 40 minutes. It was Avtodor’s third consecutive loss in a row. Golden has individually a very good year with high stats. He averages 17.6ppg, 2.5rpg and 7.8apg in 21 games he played so far. Ben Lammers (6’10”-C-95, graduated ’18, plays pro in Spain) led RETAbet BB to a 2-point victory over the league outsider Caceres Basket (7-22) 76-74 in the Spanish LEB Gold (second division) in Sunday night’s game. He was MVP of the game. Lammers recorded a double-double by scoring 22 points and getting 15 rebounds. He also added 2 blocks; not bad, considering it’s only Lammers’ first season in pro basketball. RETAbet Bilbao Basket (19-9) is placed second in the LEB Gold. It was his team’s third consecutive victory in a row. It’s Lammers’ first year with the team. He has relatively good stats this season 10.4ppg, 6.9rpg and 2.3bpg. Zachery Peacock (6’8”-C-87, graduated ’10, plays in France) led JL Bourg Basket to a victory against one of league’s weakest teams Levallois (4-19) 96-85 in the French Jeep ELITE ProA last Monday. He scored 20 points and added 5 assists in 28 minutes. JL Bourg Basket (19-4) is placed second in the Jeep ELITE ProA. It was his team’s third consecutive victory in a row. It’s Peacock’s fourth season with the team. Peacock has very impressive stats this year 18.6ppg, 5.0rpg, 2.0apg and 1.2spg in 21 games. Charles Mitchell (6’8”-F/C-93, graduated ’16, plays pro in Argentina) was not able to secure a victory for Ferro (16-11) in their last game. Despite his very good performance Ferro lost 77-84 on their home court in Buenos Aires to the leading Quimsa. Mitchell was the second best scorer with 16 points. He also added 8 rebounds and made 2 blocks in a mere 19 minutes. Mitchell has very impressive stats this year 16.8ppg, 9.2rpg and 1.7apg in 27 games. Experienced Anthony McHenry (6’8”-SF-83, graduated ’05, plays in Japan) led Shinshu BW to a victory over the third-ranked Nishinomiya Storks 93-87 in the Japanese B2 League last Saturday. McHenry was MVP of the game. He recorded a triple-double by scoring 32 points, grabbing 22 rebounds and passing 11 assists. This season McHenry has very high stats. He averages 18.7ppg, 10.1rpg, 5.4apg, 1.4bpg and 1.8spg. Adam Smith (6’1”-PG-92, graduated ’16, currently in Italy) was the main contributor in an Orasi RAV‘s victory against the 14th-ranked Termoforgia JE 88-78 in the Italian Serie A2 (second division) on Sunday night. He was MVP of the game. Smith scored 32 points (!!! ), grabbed 9 rebounds and dished 7 assists in 36 minutes. He has very impressive stats this year 23.9ppg, 3.8rpg and 2.8apg in 26 games. Daniel Miller (6’11”-C-91, graduated ’14, plays pro in Japan) contributed to a Sendai 89ers‘ victory against the third-ranked Cyberdyne IR 69-60 in the Japanese B2 League in Sunday night’s game. He was MVP of the game. Miller recorded a double-double by scoring 21 points and getting 13 rebounds. He also added 3 assists. 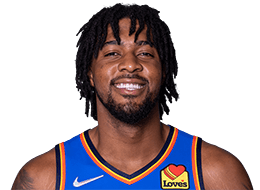 Miller has relatively good stats this season 14.5ppg, 11.4rpg, 3.8apg, 1.7bpg and 1.5spg. “He’s always there… whenever you need him, he’s the guy.” A leader of this @Pacers squad, @yungsmoove21!